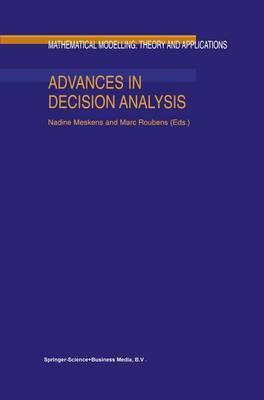 The present book fmds its roots in the International Conference on Methods and Applications of Multiple Criteria Decision Making held in Mons in May 1997. A small number of contributions to that conference were selected via a refereeing procedure and retained authors were requested to include in their final version their more recent results. This explains why some papers differ significantly from the original presentation. The introductory paper of Raynaud addresses the long range forecasts in Multiple Criteria Decision Making on the basis of a Delphi process that was run before and during the congress. In a second part, the French author explains how he and some of his partners could find the proof of an important conjecture : the iteration of a strongly monotonic choice function is not a strongly monotonic ranking function. The second part of the book covers methodological aspects of decision theory. The contribution of Bouyssou and Pirlot concerns the reformulation of classical conjoint measurement models that induce a complete and transitive preference binary relation on the set of alternatives which seem to be unrealistic when decision makers are asked to compare objects evaluated on several attributes. The authors propose to consider non transitive, non complete and non additive decomposable conjoint models. They define properties that characterize such models.